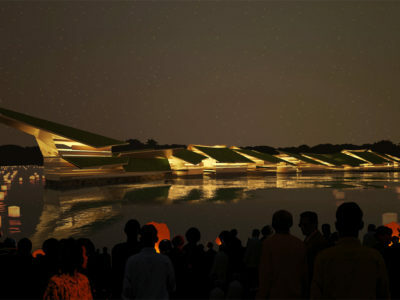 This masterplan reveals the idea for a marina in the Netherlands. In the former harbour several green islands are placed. 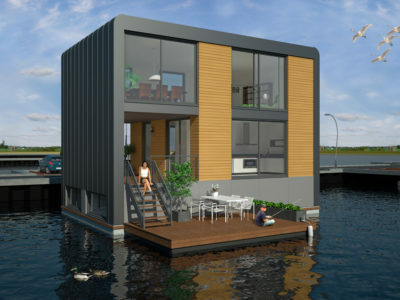 Most of them are the base for four houses, two on land, one on stilts and one floating villa. 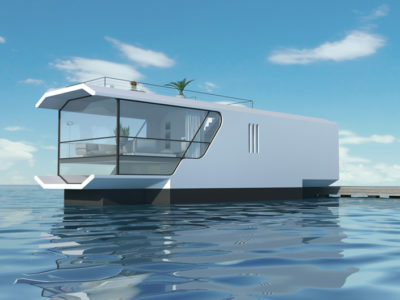 Besides dwelling the plan also withhold a floating apartment complex and a big main building with a restaurant, reception and offices.